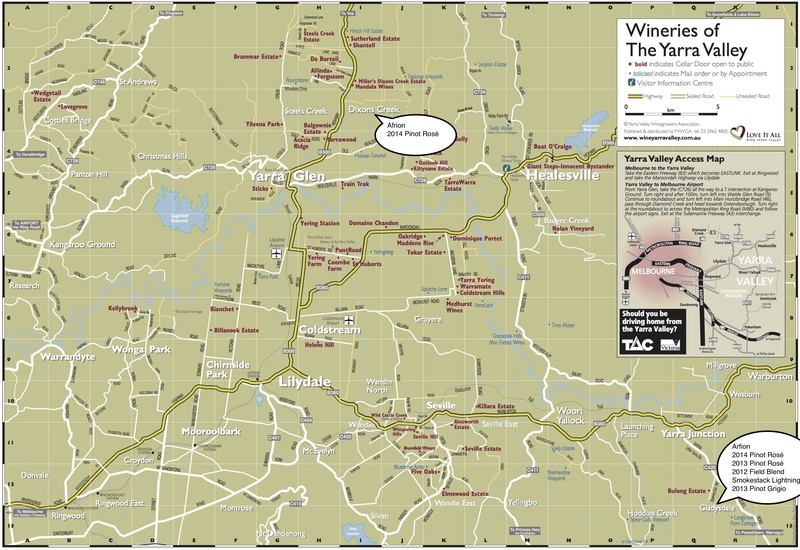 Recently I gave a tasting of wines from small producers in the Yarra Valley for the Hong Kong Wine Society. This is the stuff that get’s me excited – anyone who has experienced the thrill you get when you think you are the first to find a great bargain or something really unique, knows what I’m talking about. Clearly I am not the first to discover these producers – but hey, that’s not the point – I still get a thrill from sharing these wines and seeing how people react to them. In chatting with the guys about what it is that drives them to produce their style of wine, it becomes clear that they are careful to craft something that speaks about where the wine comes from and to their story as a winemaker. Having previously worked as a musician this makes sense to me. One of the first things I did for my Master of Music was to trace my musical heritage through my previous teachers. By doing this I could see what a rich history of experience I had to draw on and how that had shaped my voice as a musician. The same is true of the winemakers I met, whether it be travelling the world to learn from others in order to understand your story, or living almost a double existence which many winemakers do – working for a large winery while at the same time experimenting with side projects that allow for a different expression, or working for the big guns to start with before going out on your own to find your own voice. Dave Mackintosh is one such winemaker that I met while sourcing wines for the tasting. Coming from a wide range of experiences Dave now makes wine under a couple of different labels; one with Steve Flamsteed for Salo and another under his own label Arfion of which Smokestack Lightning is also part of the portfolio. The word Arfion means our wine in Scottish Gaelic and is not only an acknowledgement of Dave’s heritage but also a statement of pride in the fact that this wine is made with the independence of a small family run company and draws on a rich history of experience to produce something that is very unique indeed. 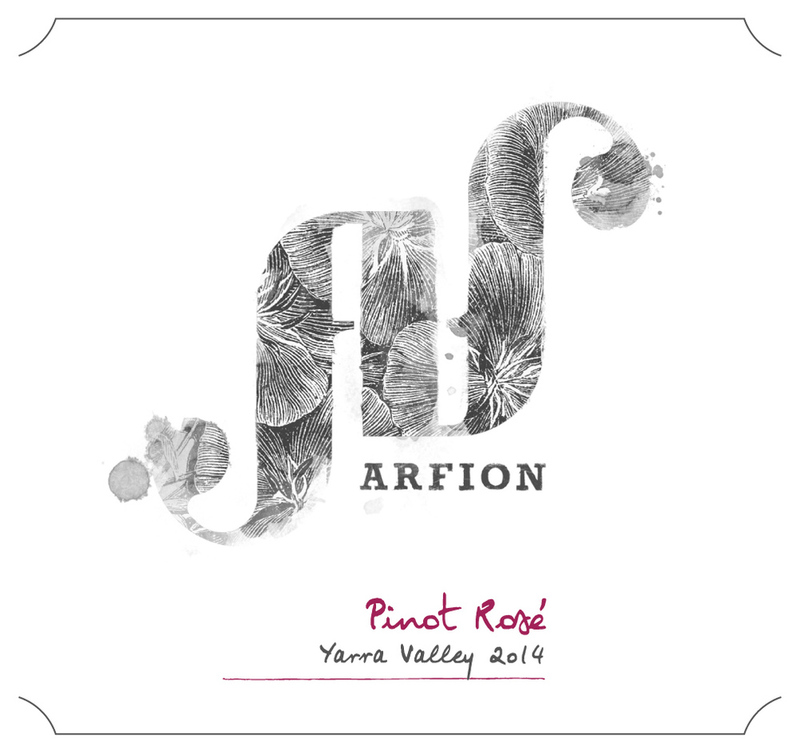 Under the Arfion label there are five wines including a Field Blend and a Pinot Rosé. 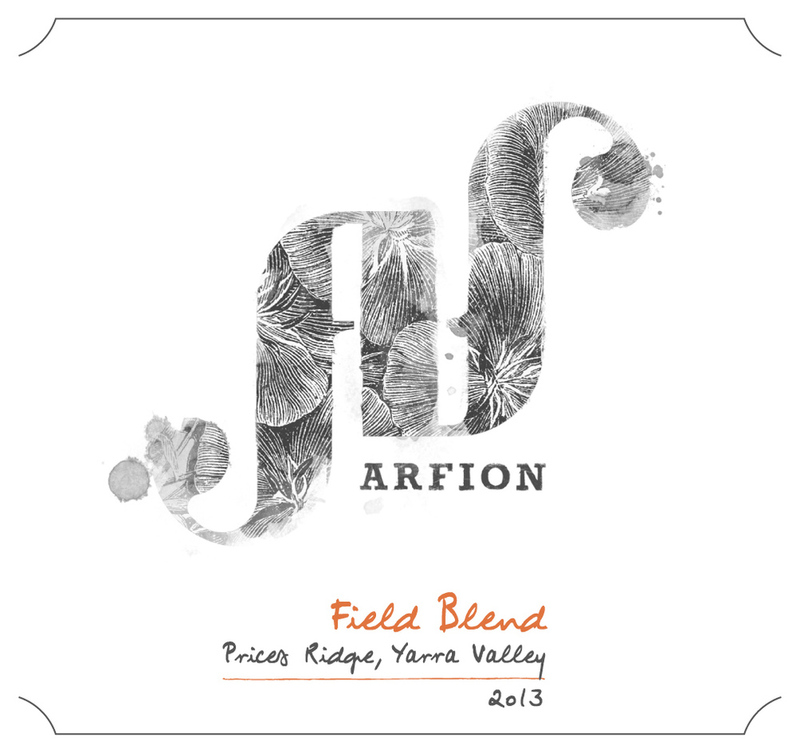 The Field Blend consists of Chardonnay, Pinot Gris and Sauvignon Blanc – “what?” I hear you say. Stay with me on this because the result is a dangerously drinkable white blend that leaves you emptying the bottle on a hot summer’s day with friends faster than you care to admit! Grown in the Prices Ridge Vineyard in the Gladysdale region of the Yarra Valley these grapes eke out an existence in this rather cold and unforgiving site. Each vintage is treated differently according to the vintage conditions – the grapes may be pressed separately but blended as juice before fermentation as for the 2013 or in the case of the 2012 each grape variety was fermented separately before the blend was created, after which 5 months of maturation takes place before being lightly fined and filtered for bottling. The 2012 Field Blend consisted of 50% Chardonnay, 35% Pinot Gris and 15% Sauvignon Blanc while the 2013 switched it up with Pinot Gris leading the blend at 40% and the Chardonnay and Sauvignon Blanc each at 30%. The determining factor for the blend is to express the soil in which the grapes were grown rather than the individual characteristics of each grape variety. Mouth watering aromatics of green fruit, white flowers and stone fruit lead you on to a voluptuous palate of stone fruit and pear flavours together with the zingy acidity of fresh oranges and limes. The freshness of this wine combined with the fullness on the palate is what makes it work; or rather what makes me refill my glass! The rosé is made using Pinot Noir grapes sourced from vineyards in the Yarra Valley – 2014 is sourced from a vineyard in Dixons Creek at the northern side of the valley as well as from a site in Gladysdale. After being picked by hand, a portion of the grapes undergo carbonic maceration for 7 – 12 days depending on the vintage, before being pressed directly to old French barriques. Carbonic maceration is a technique perhaps most famously associated with the Beaujolais region in France. In general terms the grapes are picked in whole bunches and carefully loaded into an anaerobic tank, usually using carbon dioxide to exclude oxygen. The lack of oxygen facilitates a process occurring within the cells of the grapes, which produces a small amount of alcohol along with certain flavour and aroma compounds. This gives the wine a fresh and fruity flavour and winemakers will use this technique and many variations on it to achieve the required style. In this particular instance for the rosé, a small portion of grapes undergo carbonic maceration whilst the remaining grapes are pressed directly to barrel. All barrels are lees stirred over a period of 5 months before being bottled and this gives the wines a lovely texture or as the recently updated website says “fresh, textured and delicious” and I can’t argue with that! Both the 2012 and the 2013 rosés were dry and savoury in style, the red fruit of the Pinot Noir is most definitely there with strawberry and cherry notes but there are some lovely umami notes too, and with the texture imparted from lees stirring this makes for a great dinner wine on a warm summer evening. I’m looking forward to getting my hands on the 2014 when I am back in the Yarra later this year! Before finishing I must mention the Pinot Grigio from the Smokestack Lightning portfolio – made in minuscule quantities it is most definitely worth getting your hands on. A mesmerising orange colour this wine is a complete delight – it is unexpected, thought provoking and utterly delicious. The gloves are off and this is a no holds barred approach – whole bunch carbonic ferment where the grapes at the bottom of the tank were stomped to release their juice before having bunches piled on top, 12 days on skins then pressed to old barrels to undergo malolactic fermentation before 6 months of ageing and then into bottle with no additives, just a small amount of sulphur. The resultant wine has the gentlest waft of spun sugar, ripe strawberries and the full tangy zing of tangerine on the back palate, a hint of purple flowers and a lovely touch of sour cherries on the finish. I managed to snafu the last two bottles of the 2013 for the HKWS tasting and I can honestly say they went down a treat – be sure you get your hands on the 2014 and don’t miss out!